I am now officially in Christmas mode! It's the 1st December and my 2 boys have ripped open the first window on their advent calendars!! The excitement begins and with it, comes the present buying list!!! ahhhh! What do you buy a sister in law who is about to have a baby? A brother who is back on the dating scene? Or a mum who is about to retire? 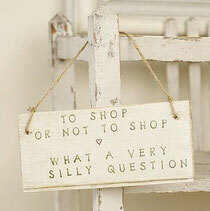 I've got it......a personal styling voucher from Style Bureau! Give that special someone the most fabulous gift experience they will never forget! Treat them to a personal shopping session where I will take them on the most efficient and effective shopping trip whilst having lots of fun! 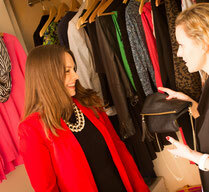 You can choose a style consultation which includes colour anlaysis, wardrobe review and personal styling consultation. A Wardrobe Makeover for that special someone who has a wardrobe full of clothes but never has anything to wear!!! then let that special someone decide which styling service they would prefer and buy 'Style Bureau' vouchers to a value of your choice. They can can use these vouchers against or towards any styling session. 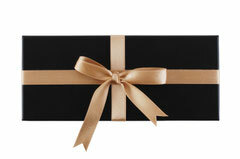 Gift vouchers come beautifully presented and are the perfect gift experience!